Grow your foot traffic, sales, and revenue… Automatically! With our Cloud-based system, you add product information in one place and your Point-of-Sale and website update simultaneously. Send customers automated marketing emails periodically. Grow your business by sending the right coupon at the right time, automatically. 90% of consumers admit that their buying decisions are influenced by online reviews. We make it simple to grow yours! How much can Rain's marketing tools increase your business revenue? Click here to schedule a free 15 minute demo, or call (801) 893-3680 with questions. Based on the numbers you entered, our marketing tools could help grow your gross revenue, click on tools listed below to learn how. Using Rain’s Cloud-based POS and Integrated Website system, Rain customers report an increase of 20% in sales year-over-year, on average. Rain customers using our POS and Integrated Website report an increase of 20% in revenue, year-over-year, on average. This is with consistent, ongoing use. We are using the Monthly Revenue number you input into the calculator, and multiplying by the average growth of 20% to illustrate the power of the Rain retail system. At Rain Retail, we have one goal: to make life better and easier for specialty business owners. Easily manage your inventory, serialized sales, customer accounts, repair tracking, vendors, purchase orders, rewards, and gift cards all in one system. When your website inventory is powered by your Point of Sale, life gets easier. Customers can Google your inventory online to see what you have in stock before driving to your store. Your website is always updated—you hardly have to lift a finger—and you can sleep at night. According to eMarketer, email marketing has a "median ROI of 122%—more than four times higher than other marketing formats examined", including Social Media, Direct Mail, and Paid Search. Rain's automated product emails will help drive more sales for your business. 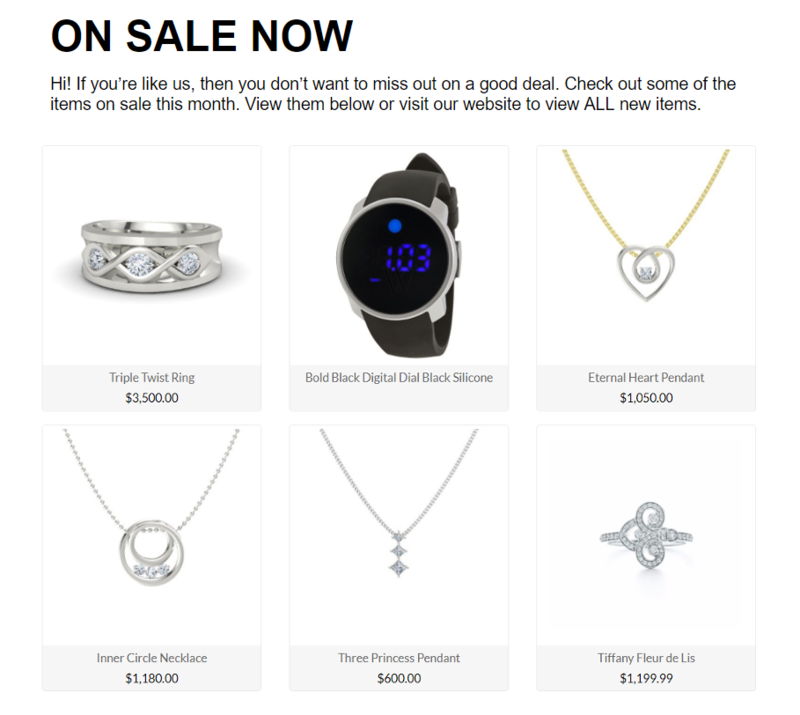 Send customers periodic emails with New Products, Top Sellers, Sale Items, and Upcoming Classes, all done automatically. 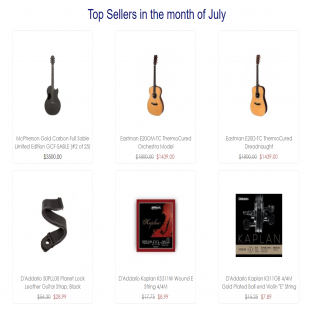 These results are based on the number of email addresses you input, and sending four Automated Email Marketing messages to your list each month, (one for each automated email type; New Arrivals, Top Sellers, On Sale, and Upcoming Classes.) We then calculate an email open rate of 40%. This is because Rain users tell us that they see an open rate of 50% on emails sent to their customers from our system. However, since the retail industry, as a whole, is a lower number we are using 40% as the open rate to be more conservative. Customers that open the automated emails, we estimate that 10% of them will click through to your website to view items from your email. And of those customers, we estimate that 5% will make a purchase, either in your store or on your website. Then we simply multiply those new purchases by your input average transaction amount to get the estimated added revenue. 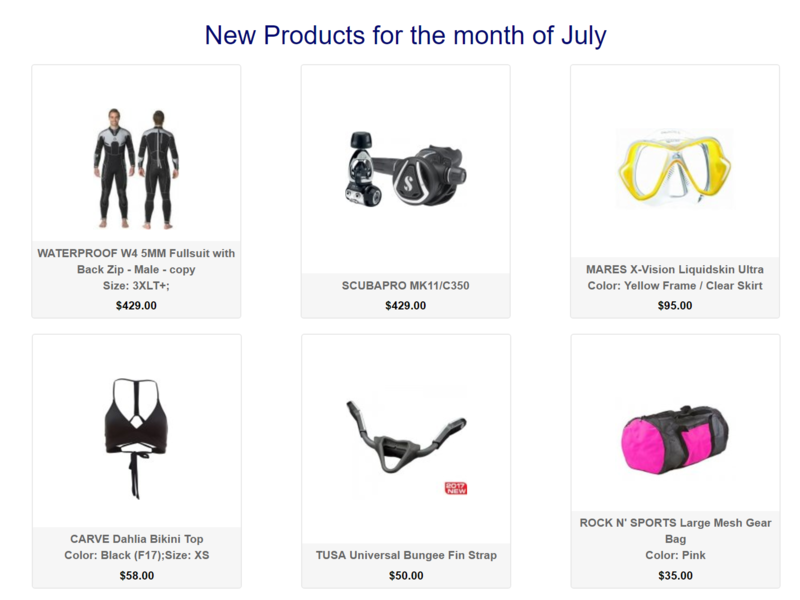 Once a month, we'll send your customers an email with new products you've added within the last month. You don't have to lift a finger, our system does it for you, automatically. Everyone wants to know what's popular! 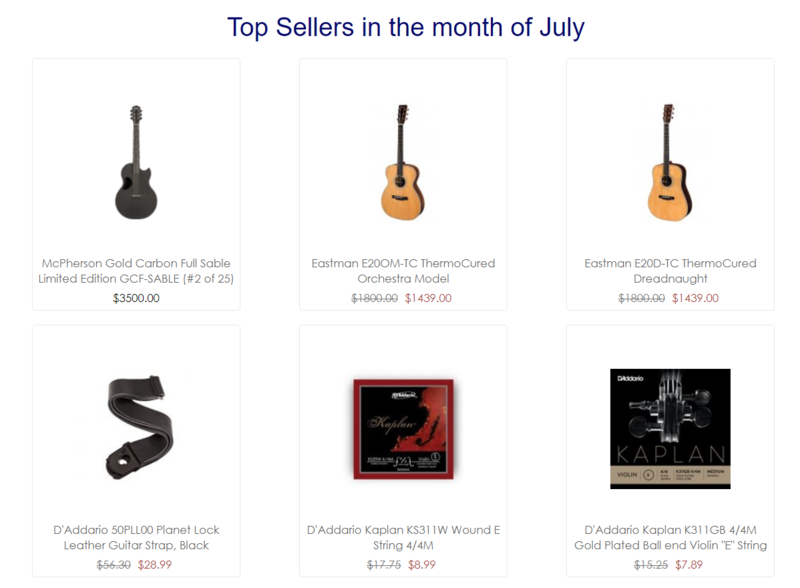 So we'll be sure to email your customers your top selling products each month so they won't miss out on what's hot! Want to incentivize your customers to add more items to their cart? Need to move old inventory? We'll send your customers an email once a month to make sure they don't miss out on your awesome deals. 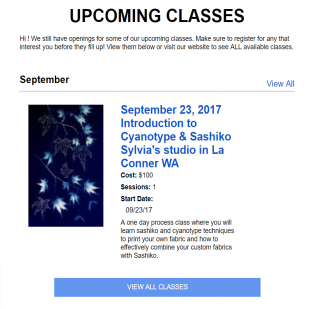 Your customers will never miss another class opportunity because we'll email them each month to let them know about your upcoming classes, automatically. Fill more classes, collect payment up front, decrease "no shows", and increase upsell opportunities. According to RetailMeNot, 96% of consumers use coupons, and 85% of consumers look for coupons prior to visiting a retailer. The fact is, coupons helps build loyalty because customers feel valued by retailers. Rain's automated coupon emails help you send your customers the right coupon, at the right time to get them coming back to your store to make their next purchase. These results are based on the email list size that you input. For Birthday Coupons Emails, we are assuming each email address represents a single customer, and we automatically send a birthday coupon to them once per year. This does require that you ask customers for their birthday, and enter it into their customer profile for the automated birthday coupon to be sent. The number of Bounce Back Coupons sent is estimated by dividing your input monthly revenue by the your average transaction amount to see how many purchases are made in a month. This is the number of Bounce Back Coupon Emails that would be sent. For the Bring’em Back Coupon Email, our customers tell us that they have an average of 50% repeat business within 60 days of last purchase. Based on this, we calculate that 50% of customers will be sent a Get’em Back Email Coupon. Then, utilizing the same formula for open rates, click through rates, and conversion rates outlined under the Automated Email Marketing section, we estimate the resulting added revenue that Automated Coupon Emails would drive. Bounce Back coupons have proven extremely effective for large retailers, and now you have the power to utilize these incredibly effective coupons for your store. Issued after a customer has made a purchase at your store, they are valid for a limited time, like 1 - 2 weeks. Get customers coming back sooner and more frequently, increasing loyalty, and increase your sales! When customers haven’t purchased anything in 60 or 90 days, we'll help you get 'em back. The Rain system can automatically email these customers a coupon with your choice of a percent or dollar-off value, inviting them to take advantage of your limited time discount to get them coming back. Automatically email customers a birthday coupon each year to let them know you're thinking of them and appreciate their business, again with your choice of a percent or dollar-off value to encouraging them to treat themselves to a birthday purchase. = more time, Money & Happiness! Rain's Notifications tool will automatically send your registrants a reminder of their upcoming class, so they don't forget. Do you service or repair products for customers too? We'll also notify your customers when it's time for maintenance on products they've previously purchased from you. Let's face it, business owners and staff are way too busy to notify customers, let alone keep track of all the notifications you should be sending. And if you are calling, emailing, or texting customers now to notify them, you're likely spending a ton of hours every week. Let us take care of this for you and free up your time. Our automated notifications help businesses grow their services revenue and help make sure your classes are full. These results are based on the number of transactions you have in a month, (calculated by dividing your input Monthly Revenue by your Input Average Transaction Amount.) Of those purchases, it is estimated that twenty-percent will be sent a notification for Services/Repairs. Customers who receive a Service/Repairs notification, we estimate that ten-percent will refer new customers to your business, because they received such good service and love how they are notified. These new customers multiplied by your Average Transaction Amount generate Added Revenue for your business. Classes Notifications is calculated by having an average of 4 classes per month at $25 cost, each having 3 sessions, and a Class Reminder notification being sent out for each class. Increase your class attendance with automatic reminders. 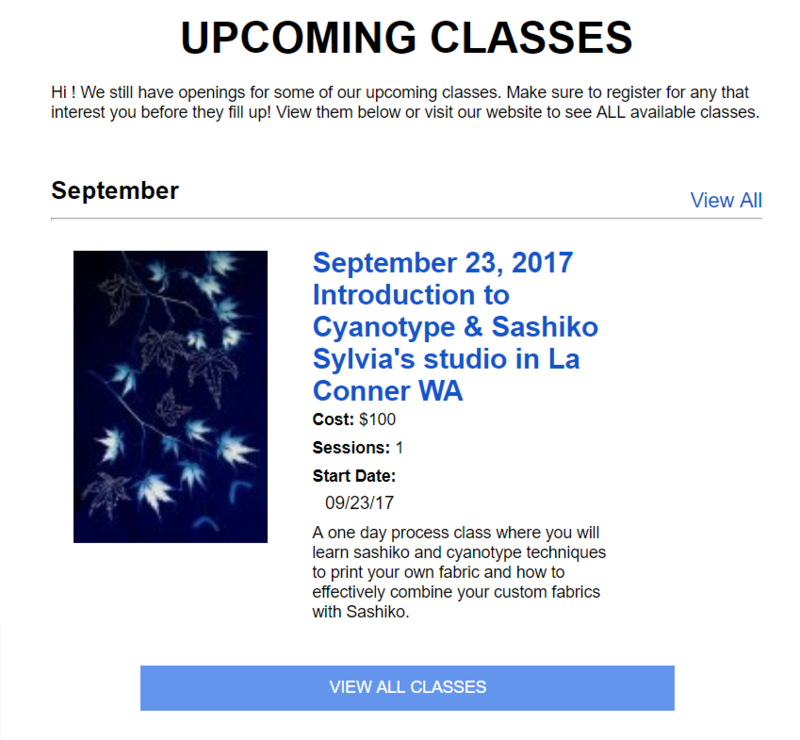 Rain Class Reminders will send your class registrants an email to remind them of their upcoming class so they don’t forget to come. Plus, easily send text or email message updates to class rosters with any changes or cancellations. Wish there was an easy way to remind customers that it’s time to have the items they purchased from your store serviced? Rain's Notifications has you covered! Our system keeps track of your customers' purchases and automatically notifies them when it's time to bring their item in to be serviced, so they don't forget. "One of the best parts about Rain that I have loved is the increase in foot traffic to all of our five locations"
Quickly add customers to your email list right at the register or allow them to sign up on your website. When you're ready to send an email blast, simply create your message and choose the list you want to send to. Email marketing just got a lot easier. This can vary, depending on whether you are sending an email blast to your entire list, or if you are sending to a targeted segment of your email list. These results are based on the number of email addresses you input, and sending one custom Email Marketing blast to your list each month. We then calculate an email Open Rate of 40%. This is because Rain users tell us that they see an open rate of 50% on emails sent to their customers from our system. However, since the retail industry open rate is a lower number, as a whole, we are using 40% as the Open Rate to be more conservative. Of those that open the email, we estimate that 10% of them will click through to your website to view items from your email. 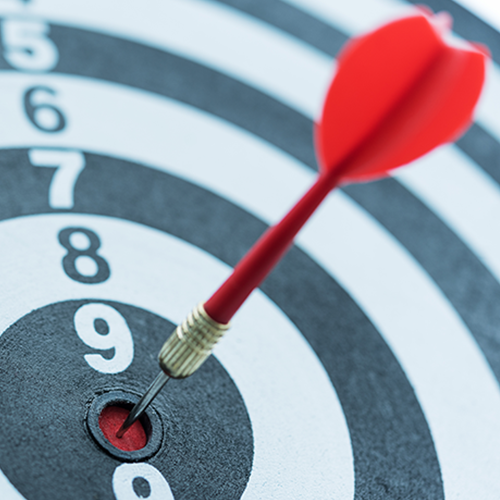 And because this is a targeted email campaign that is more relevant to the recipient, we estimate a higher conversion rate of 10% will make a purchase, either in your store or on your website. Then we simply multiply those new purchases by your input average transaction amount to get the estimated added revenue. No need to pay extra for a third party email marketing tool. With Rain, you can quickly add customers to your email list right at the register or website. 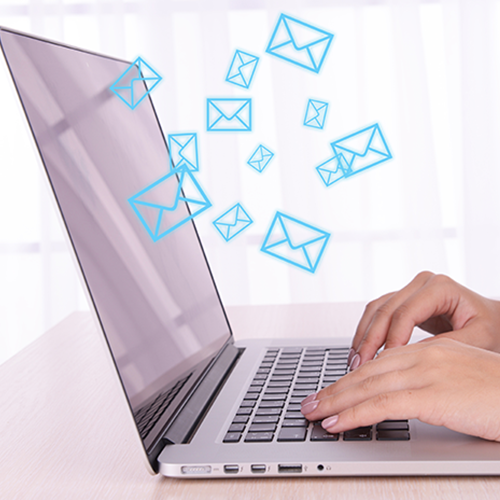 When you're ready to send an email blast, simply create your message and send to your customers. Email marketing just got a lot easier..
Want to email select customers who bought a specific product to promote a related new arrival item? Well, now you can! Filter and segment which customers you email right from within our system. Your customers are your best marketers! How so? 90% of customers admit that their buying decisions are influenced by online reviews, according to Clymb. Social reviews build trust for your store, and can help your local search rankings attract even more business. Based on your inputs, we’ve taken your monthly revenue and divided it by your input average transaction amount to determine how many potential purchases customers will leave a review for. We understand that you may not always have a customer’s contact information, so we are estimating conservatively that 25% end up being invited to leave a Social Review after making a purchase. Of those, not everyone will leave a review for various reasons. We estimate that 20% of those invited to leave a review, actually will. This gives us the estimated number of monthly Social Reviews you can gain, based on your inputs. Studies have shown that Social Reviews have increased a store’s sales by as much as 38%. We like to be conservative in our estimates, and are calculating that the Social Reviews growth our system can help you achieve can increase overall revenue by 4%, over time. The best time to get a customer to leave you a Social review is when you're fresh on their mind. With our system, you can send your customers a text right after they complete a purchase, with a link that lets them quickly and easily leave a review about their positive experience in your store. Your customer is happy, you build trust with future customers, and increase your sales. "What Rain represented to us when we adopted it was possibilities. It really helped us integrate everything. The point of sale in store, and the point of sale online"